Much has been said, lately, about the BMW M4 Competition Package and how it offers a better overall driving experience than the standard M4. For $5,500, the Competition Package brings 19 more hp, some lightweight gear, 20″ wheels, a new suspension, revised steering and a revised rear differential. All of that combines to make the M4 a more fun-to-drive car. However, does it actually make it any faster? From the looks of things, yes. It’s lighter, more powerful and has a better-calibrated differential that helps the M4 to not roast its rear tires. But two German magazines, AutoBild and Sports Auto, have decided to do a test between both cars and see how they perform side by side. They gathered both a standard BMW M4 DCT and a BMW M4 Competition Package DCT together and put them through a battery of tests. But first, let’s compare the specs. 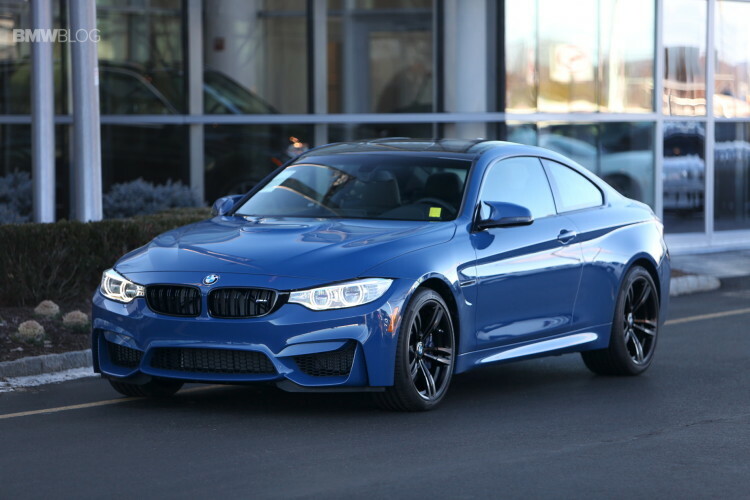 The standard BMW M4 weighs in at 1,611 kg (3,551 lbs) and develops 425 hp and 406 lb-ft of torque. The M4 Competition Package weighs 1,632 kg (3,597 lbs) and makes 444 hp and 406 lb-ft of torque. That means the standard M4 has 8.3 lbs per hp and the M4 Comp Pack has 8.7 lbs per hp. So the standard car actually has a slighter better power-to-weight ratio. That power-to-weight ratio doesn’t seem to mean much in terms of 0-100 km/h (62 mph) and 0-200 km/h (124 mph) testing, though. According to AutoBild, Both cars hit 0-100 km/h in 4.0 seconds flat, with the M4 Comp Pack getting to 200 km/h two tenths of a second quicker, at 12.9 seconds. However, in-gear pull at speed shows different results, results that actually favor the standard car. From 60-100 km/h in fourth gear, the standard M4 was faster by four tenths of a second, doing it in 3.2 compared to the Comp Pack’s 3.6. The Comp Pack was also slower from 80-120 km/h in fifth gear, doing it in 4.5 seconds compared to 4.2. That lead extends in higher gears, as the M4 Comp Pack is a whopping 2.7 seconds slower from 80-120 km/h in seventh gear, doing it in 10.4 seconds compared to 7.7. Sports Auto came back with similar results, albeit with different numbers. But the general consensus was that the M4 Comp Pack was the slower car of the two. Now, we don’t know how these two cars were spec’d or why the Competition Package-equipped car was heavier, as it should have been lighter, but these are the results two different publications discovered. The Competition Package car is supposed to be lighter, thanks to lightweight wheels, lightweight seats and some less sound deadening. However, their testing claims it was heavier. We don’t know the specs of each car, though, so it’s possible the Comp Pack M4 had full leather interior and the standard M4 had the cloth/leather combo, which might have accounted for the ever-so-slight weight disadvantage. The option list could have played a part here, but we don’t know for sure. 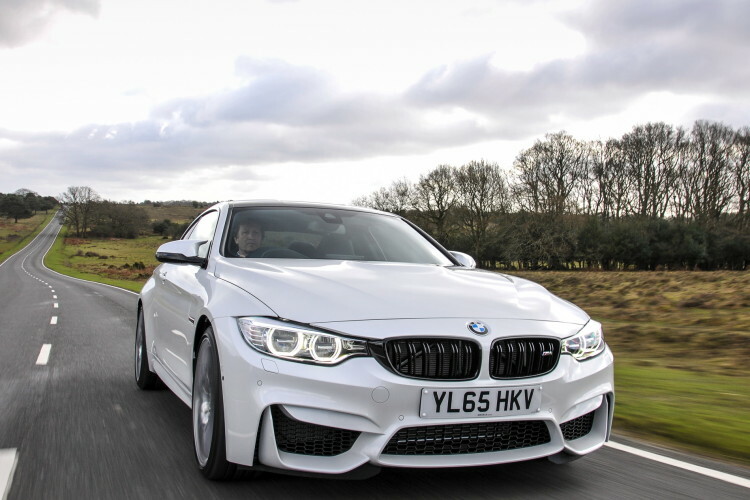 However, it is interesting that with just a few extra pounds, the M4 Competition Package is considerably slower than the standard car in almost every real-world acceleration test. We don’t really know why, especially because it has more mid-range power and a re-calibrated differential. The only explanations we can think of are that maybe the final drive gearing is slightly different for the competition package or maybe the difference in circumference of the new 20″ wheels plays a part. We don’t know, but the numbers don’t lie. 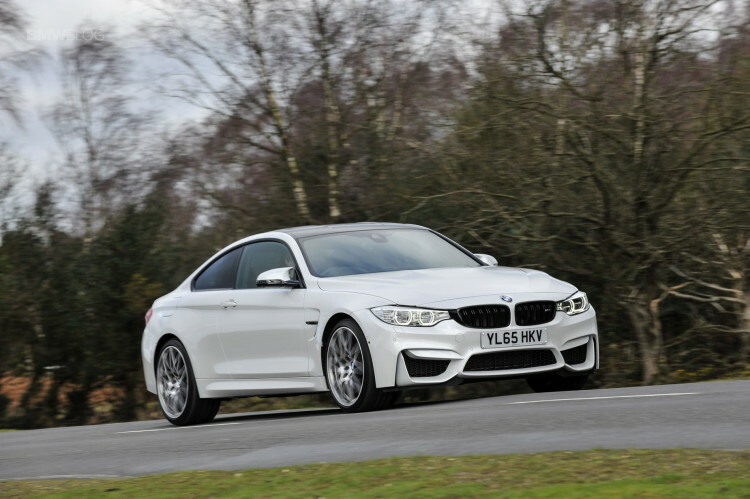 The BMW M4 Competition Package is actually a bit slower than the standard car.